Who’s the real number one? This was emailed to me by a colleague. Of course we don’t know the full story by watching a couple of commercials on Youtube (one “serious” the other “viral” – as Djokovic along with Murray also have the “serious” version of the commercial). Was Sharapova there in the background as a part of the “fun”. Why was there a wig on set in the first place – that can’t have been coincidental. It rolls on out as yet another example of the marginlisation of women athletes in achievement sports and in the most awful way – as whilst it is a market ploy, this one adds the layer of ground floor (player) positioning. What’s at stake in such laddish jokes? I would argue the most practical – the continuation of positioning women as second class citizens in the wide world of sports. Djokovic might be loved for his joker personality and light-heartedness in play – but this act, in this context, unfortunately plays into the already rich actuality of women’s positionality in sport. 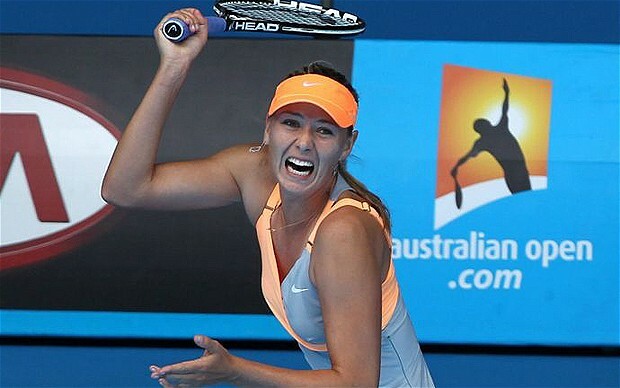 In a constant “battle” with performing as woman (and Sharapova is an example of commodified feminity in sports culture), performing as elite athlete, and being taken seriously, on their terms, as always already both.